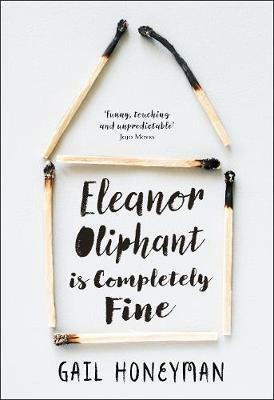 “Eleanor Oliphant leads a simple life. She wears the same clothes to work every day, eats the same meal deal for lunch every day and buys the same two bottles of vodka to drink every weekend. I saw that Zoe Foster-Blake recommended this book on Instagram and I had to read it. I love her, yes, but I also trust her taste in writing; I feel like we would probably be best friends if we actually met in real life. And of course my BFF would have fabulous reading taste. And oh – I loved this book! From the very beginning, I was drawn in by the writing and wanted to know more. What happened to Eleanor in her childhood? Why is her mother much a mean old maniac? Will Raymond’s style improve? This wonderful novel is worthy of its Costa Debut Novel Award; all credit to author Gail Honeyman­ for creating such a deep, warm book that features an unusual and loveable heroine in Eleanor. A childhood family violence victim, she has always been on the outer fringes of society and has learnt to rely only on herself as a form of protection. Her interactions with others are awkward, understandable, and joyous to watch as she starts learning some of the social norms that most of us seem to know. I almost lost it when Eleanor observes her work colleague and new friend Raymond taking a gift to a party they attend; so when they go to a 40th birthday a few weekends later, Eleanor takes some cheese slices and half a bottle of vodka from the fridge, pops them in a bag and presents them to the birthday boy with complete assurance that she’s given the perfect gift. Eleanor Oliphant is Completely Fine is certainly funny; I laughed out loud a few times; but it is also desperately sad, moving and raw. There were moments where tears stung at my eyes, and I felt a lump in my throat; parts of the novel are completely heart wrenching. Zoe did not steer me wrong with this one. I have been recommending it to every person I come across, and will continue to do so for some time. This beauty gets a 10/10 from me.